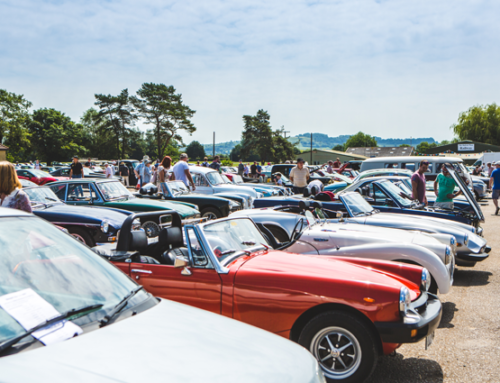 Classic Turn Up In Their Masses For Shepton Summer Car Show! 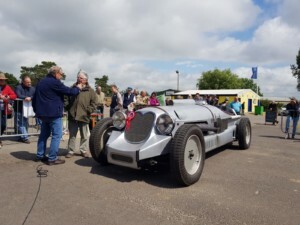 HUNDREDS of classic cars were admired by thousands of visitors at the Footman James Bristol Classic Car Show, held at The Royal Bath & West Showground on June 16-17. 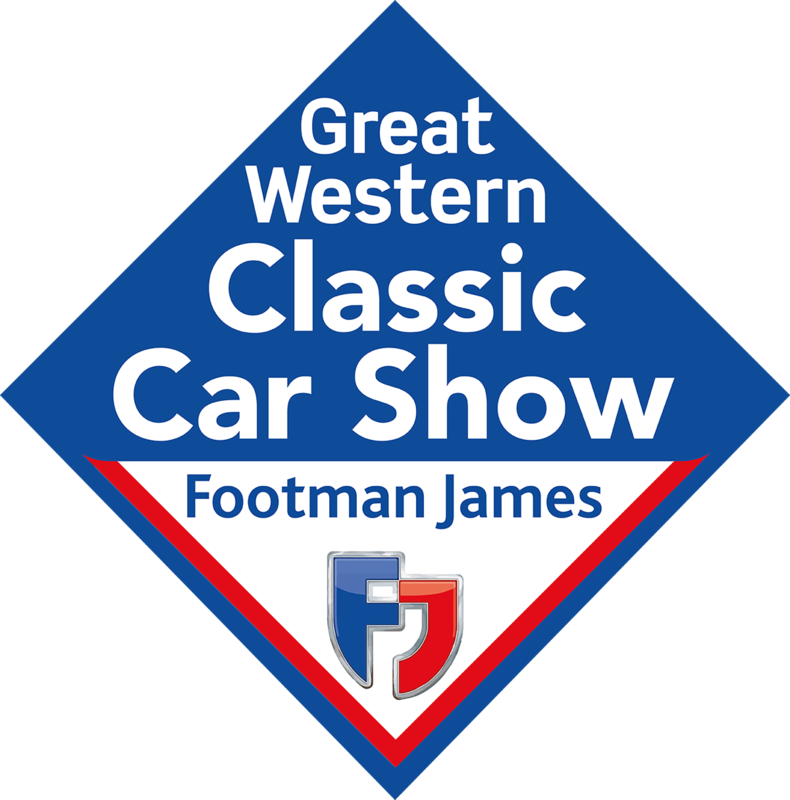 An increase in numbers of cars on display, and clubs and visitor attendance, came as a welcome result for show organisers and traders alike. 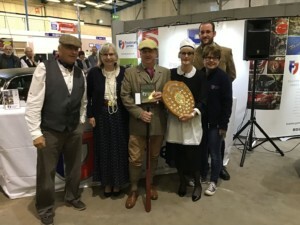 Amongst the incredible displays put on by enthusiasts was the Austin Ten Drivers Club, who picked up first prize for their efforts, taking home a £300 contribution towards their club courtesy of show sponsors, Footman James. 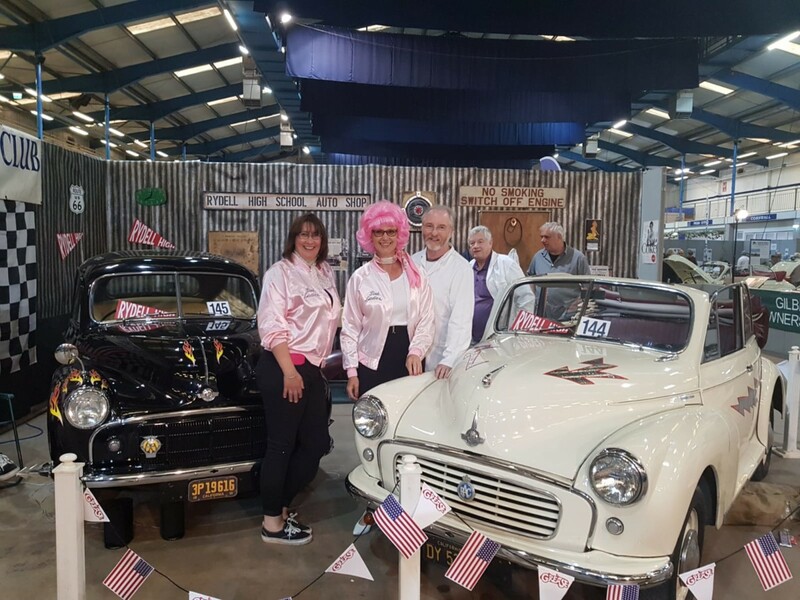 Second prize was awarded to the Morris Minor Owners Club, who paid homage to Grease – the hit movie released in 1978 – and turned the clock and their stand back to the 1950s at the Rydell High School Auto Shop, complete with Pink Lady jackets! 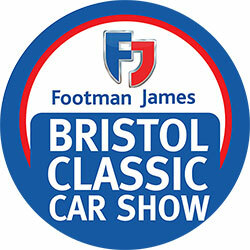 The Footman James Bristol Classic car show saw the third heat of the Footman James Kingstown Shipping Car of the Year competition hosted by Classic American magazine. 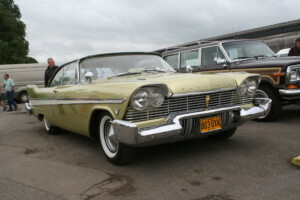 The award was won by a stunning 1957 Plymouth Belvedere owned by Nick Parker from Bristol. The car had previously belonged to famed Bristol hot-rodder Jerry Denning, who had bought it as an unfinished project. Nick had first seen it in 2005, when it totally blew him away, but it took almost a decade until the opportunity arose for him to acquire it. Not a lot is known of the car’s history in the States, other than a dealer tag on the back from New York State. The car boasts a lot of its original interior, a 301cu in V8 and of course that famous push-button transmission. The Volvo Enthusiasts Club celebrated 90 years of Volvo Trucks at the show, bringing along a sizeable display in the Main Hall. The club handed out cake and Buck’s Fizz to visitors, claiming that they didn’t need much of an excuse for a party! Celebrations continued outside, with the Yeovil Owners Club hosting the show’s firing-up area for the second year running. Among the displays was a 27-litre, Meteor-engined Brooklands Special. Having had its silencers removed, the roar of the engine attracted a lot of visitors to stop and listen. The success of this show feature will no doubt result in a return for next summer’s show. Rounding up proceedings as per Shepton show tradition, the Charterhouse Auction was another great success. 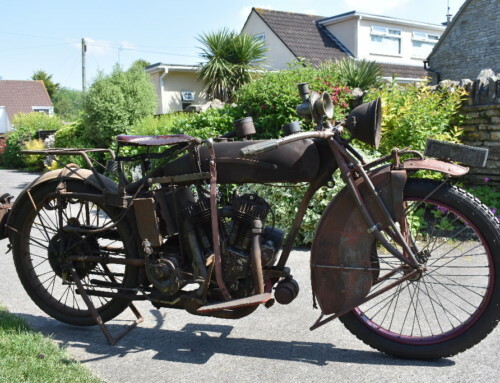 Highlights included the sale of the 1921 Indian Powerplus, owned by a local farmer for 43 years, kept in dry storage local to the showground. 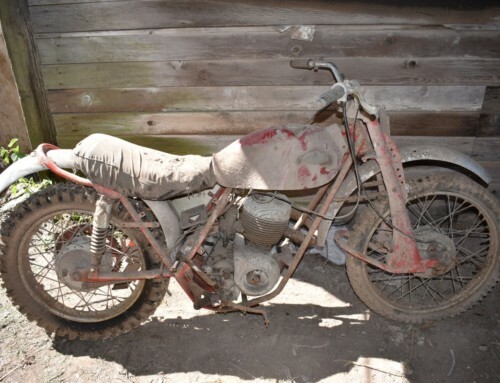 With its 1000cc V-twin engine producing a healthy 16hp in its day, mated to a three-speed hand-change gearbox, this motorcycle has miraculously survived in an unrestored state and has the most wonderful patina that is impossible to recreate. 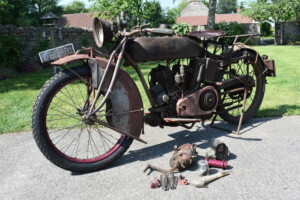 This incredibly rare machine unsurprisingly reached the top of its estimate, with a final hammer price of £20,000. Show organisers now turn their attention towards the Classic American Stars & Stripes Event, held at Tatton Park on June 30-July 1, swiftly moving on to The Passion for Power event held at the same venue on August 17-18, before returning to Shepton Mallet in November for the Footman James Classic Vehicle Restoration Show. The next few months ahead are certainly looking to be an exciting time for the classic car market! Show stopping Mini up for Auction! Fancy an Indian? 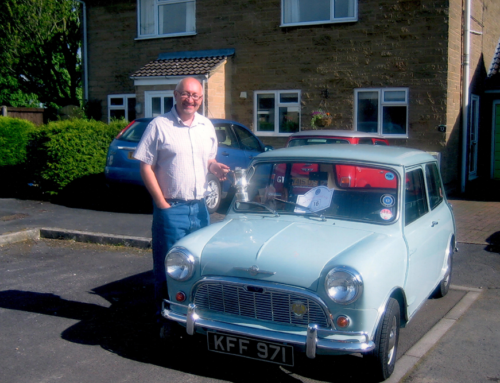 Come to the Classic Car Show this June! 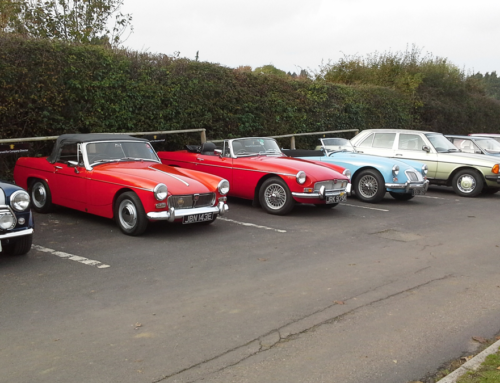 If you like a lotta classic cars – check out our clubs! 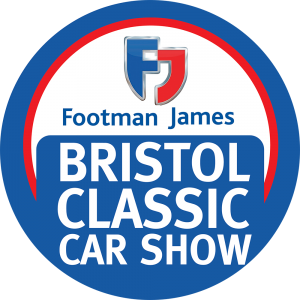 BRISTOL CLASSIC CAR SHOW SET TO BE A GRAND TOUR FOR ALL THE FAMILY!